Bewcastle is an ecclesiastical and civil parish in northern Cumbria (previously Cumberland). 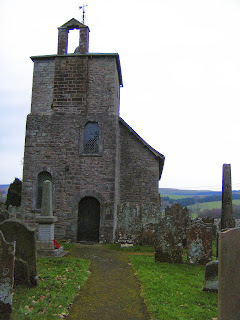 Bewcastle Parish Church is dedicated to St Cuthbert and is in the Brampton Deanery of the Diocese of Carlisle (Church of England). Records indicate there has been a church on this site since at least 1277, although it is believed there was a church on the site some centuries beforehand. Bewcastle is close to Cumbria's border with Northumberland and Scotland. Throughout recorded history these borders have been hotly disputed by some and ignored by others. It is close to the former 'Debatable Lands' disputed by Scots, English and Cumbrians alike until the unification of the kingdoms under James VI of Scotland and I of England. Many of the families of Bewcastle are descended from the infamous clans who made up the infamous 'Border Reivers'. This is reflected by the surnames of some of those who are listed on Bewcastle's War Memorial - Armstrong and Beaty for example. Some of the stone used to build the church was taken directly from the earlier Roman fort on this site. 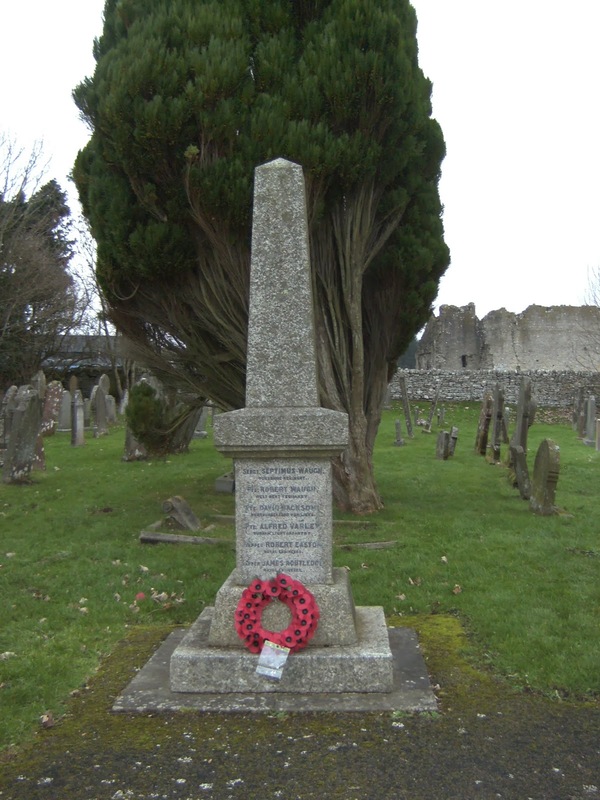 Within the church grounds is the Bewcastle Cross, a 7th Century Anglo-Saxon structure (c. 675 A.D.) and the Parish War Memorial. These can be seen in Photograph No. 1 (above). Visitors come from all over the world to see Bewcastle Cross and adjacent to the churchyard is a small but informative exhibition centre. The War Memorial was first dedicated following the First World War. Originally, the memorial listed the names of 19 parishioners who lost their lives in the 1914 - 1918. Some of these can be seen in Photograph No. 2. Following the Second World War the wording on the memorial was altered and the names of 3 parishioners who died in the 1939 - 1945 were also added to the plinth. These names can be seen in Photograph No. 3 (above). Trooper John Costigan, 1st R.T.R. Sergt. Frederick K.M. Waugh, R.A.
Bewcastle churchyard has three 'official' casualties from the 1914 - 1918 war: Robert Easton, John Gass and Robert Waugh. However, some of the other casualties are remembered on the headstones of family graves in the churchyard, including three local casualties who are not listed one from the 1914 - 1918 war and two from the 1939 - 1945 war. 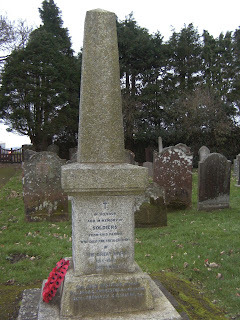 Sapper Reuben Nicholson, Royal Engineers, died 16 December 1944. This article is dedicated to the fallen of Bewcastle and district in the two World Wars.